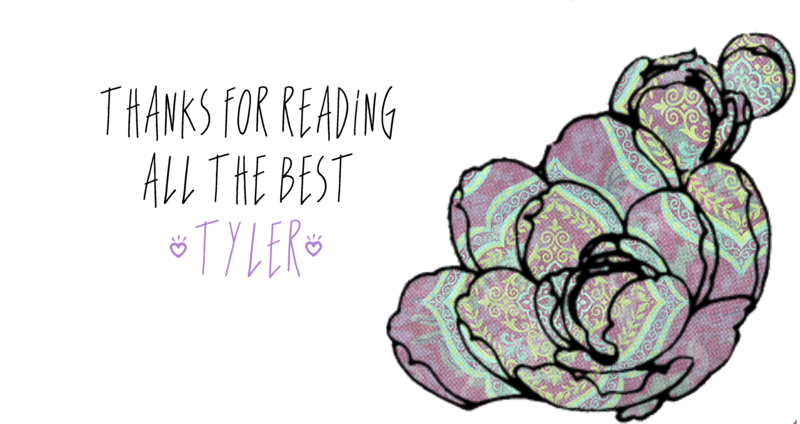 I know what you are all thinking… Tyler, why are you blogging? You are supposed to be on a blogging break! I know, I know! But I do miss it! And I feel like if I don’t do something remotely creative I might pop! So in October my cousin nominated me for the “One Lovely Blog” Award. Its been a while since then but I decided that I should probably get it done. Simone I am sorry its taken me so long, I really needed the break. But better late than never right? Ok so Simone has a lovely blog called “Our Flavourful Life” that showcases all the awesome things her & her husband get up to (including delicious South African recipes they make). It has some serious YUM-Factor! Simone came to me before she started her blog to ask about starting a blog. I was most excited! I love when people are interested in Blogging, its such a release. I am so happy she is doing so well. Thank you for the nomination, it really means so much. 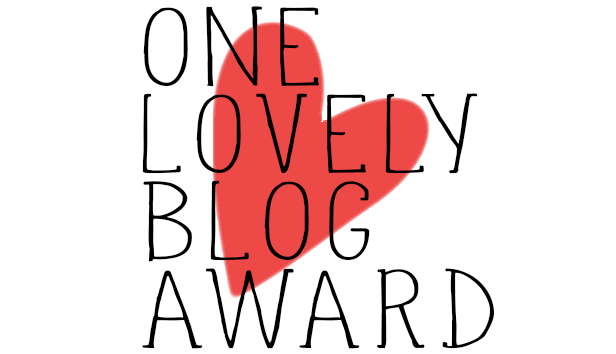 Add the “One Lovely Blog Award” logo onto your post/blog. Nominate 15 bloggers you admire/read and inform them bu commenting on their blog. I recently became really, really addicted to watching YouTube stars: Zoella, Tanya Burr & Sprinkle Of Glitter. They have been added to the list along with good old Favorites like Jenna Marbles, Jess Bunty, Suzelle DIY & Not Another Poppie. They have all made me seriously consider YouTubing but I have no clue what I would do. I am such a messy person, not sure how my Boyfriend lives with me? I keep everything organised but clothes… They are literally always on the floor or bunched up and shoved into my closet. I did a clean up the other day… It lasted that 1 day. I am really good at cooking Pasta dishes (I friggen LOVE pasta), I made a goats cheese Mac n’ Cheese the other day… Lets just say I got a request to cook it again. I am a huge softie! Can shed a tear at the slightest heart string tug. I can even have all the feels for a well written facebook post. #imaweirdo. But seriously, I cry when I see the homeless woman and children on the streets (not the drugged up kind, the ones that come here from African Countries to find a better life only to be homeless and hungry) I get so sad when I see animals that have been hit by cars… I would rather crash my car than kill an animal. I have a very strong obsession with mustaches, not the real ones on peoples faces… That would be odd! I am obsessed with the image of mustaches. I bought a pair of shoes because it had mustaches on it. I also own 2 different kinds of nail decals, mustache clips & jewellery. Ok so I don’t want to nominate anyone so I am just going to share my 15 favorite blogs. 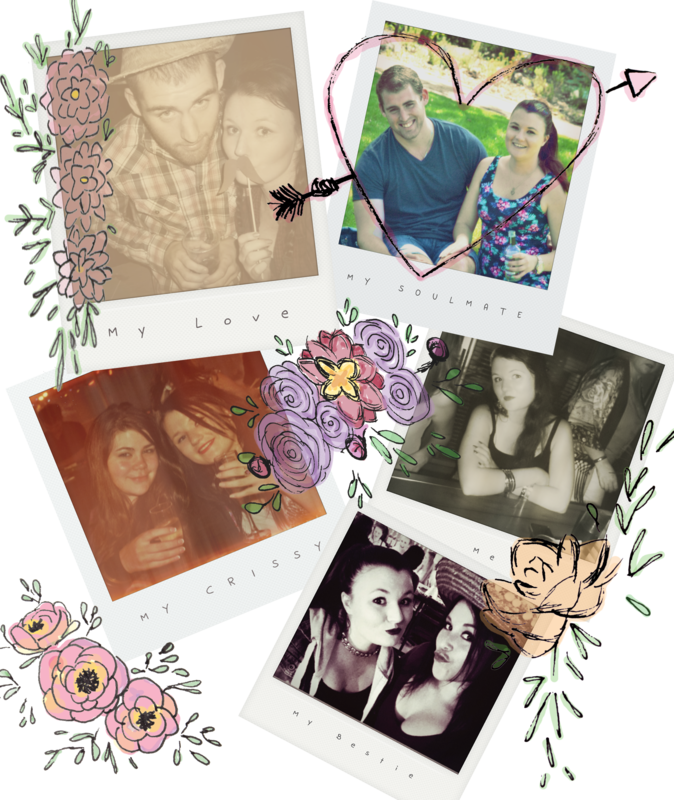 This entry was posted in 2014, Awards and tagged Awards, One Lovely Blog, South Africa. Bookmark the permalink.